^ Born 1232 per Mark D. Johnston in Routledge Encyclopedia of Philosophy. London: Routledge, 1998. Older sources (such as versions of Encyclopædia Britannica at least up to 1955) give 1235; the current Britannica gives 1232/33. ^ Tisdall, Nigel. Mallorca. 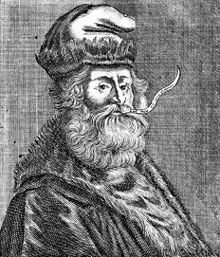 Local Heroes – Ramon Llull – reference to his life and work (Thomas Cook Publisher). 2003: 40. ISBN 9781841573274. ^ 《大不列颠百科全书：国际中文版·第十卷》 (M)使用|format=需要含有|url= (帮助) 1. 北京: 中国大百科全书出版社. 1999年4月: 154页. ISBN 7-5000-6060-2. ^ Habig, Marion. (Ed.). (1959). The Franciscan Book Of Saints. Franciscan Herald Press. Ramon Llull at the AELC (Association of Writers in Catalan Language). Webpage in Catalan, English and Spanish. Site with fulltexts of Raymond Lull's books. Also music based on Lullian arts. Online Galleries, History of Science Collections, University of Oklahoma Libraries High resolution portrait of Ramon Llull in .jpg and .tiff format.